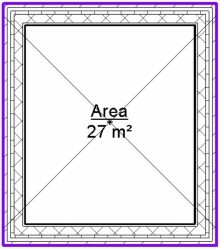 RAS Manager automates work in Revit® with rooms and area-measurement rules as well as with spaces and their assignment to zones. It offers smart insertion of rooms and spaces with full engineering data and parameter values including elevations, plus tools to calculate supply and exhaust airflow. RAS (Room, Area, Space) Manager helps to quickly create / manage spaces and rooms with engineering data, and calculates supply and exhaust airflow in Revit projects. Both standalone and network license types of software licenses are available. User can easily migrate from standalone license type to network if additional NLM Annual Service was ordered. Instantly inserts areas into a project by DIN BGF, DIN NGF, SIS BRA, SIS BTA, SIS NTA standards and other configurable rules. Calculates “Specified Supply & Exhaust Airflow”. 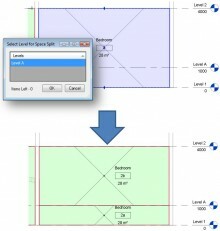 Automatically adds spaces by rooms with the same engineering data. Splits spaces according to the selected levels.